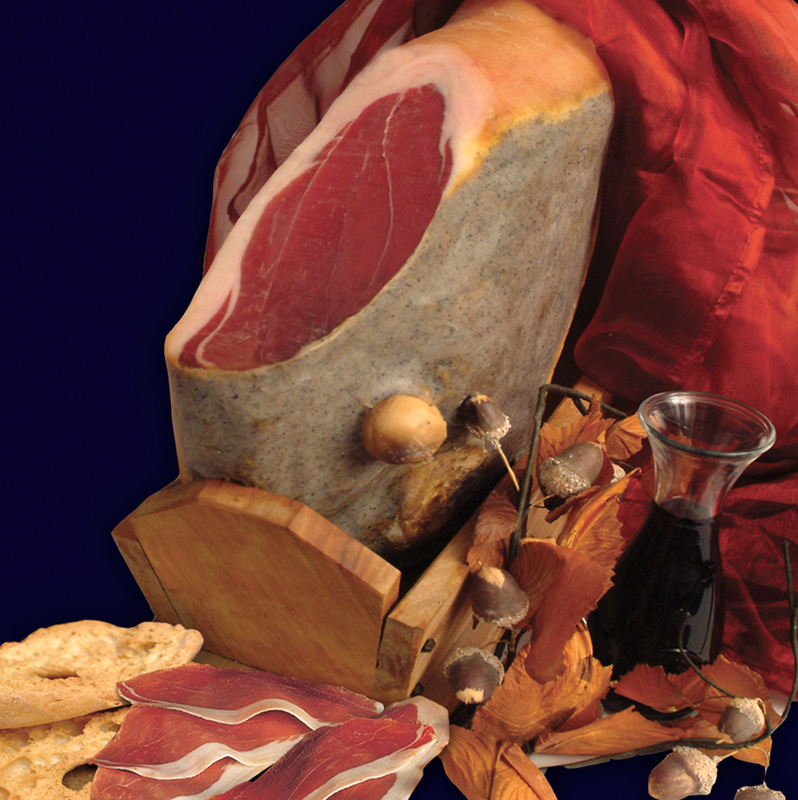 It is produced with a selection of fresh ham coming from our slaughter in the Parma — San Daniele production chain. Particular attention is paid to the selection and trimming phases in order to obtain a very high—quality final product. It undergoes a seasoning phase in an establishment located at the base of the Sibillini mounts with an excellent climate and lively air.